But I do love food, and taking pictures of food, and exploring new recipes, and collecting/hording beautiful cookbooks, and Vining clips of meals in the making, and sharing photos of the food I’ve made, and…holy Havarti, I may be a Foodie after all! 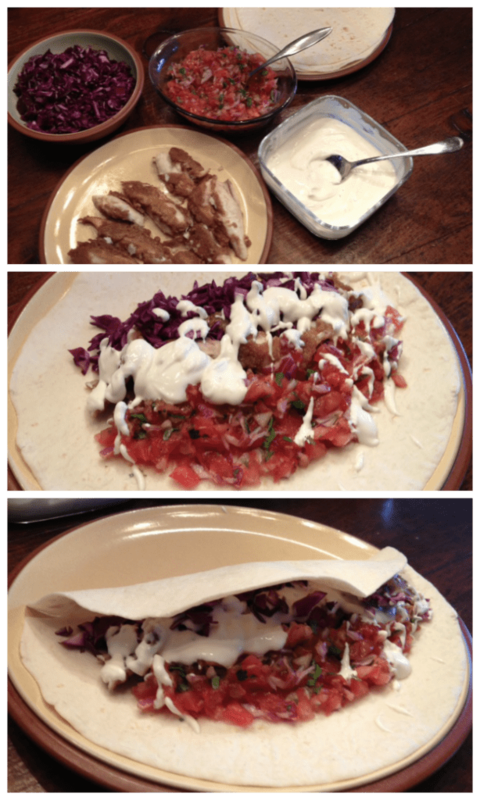 So I may not be a member of the Foodie club, but occasionally I like to share a recipe that works well for our family. One of our family faves….a meal we enjoy at least twice a month is this Costa Rican Rice Bowl. A new favourite is Fresh Baja Fish Tacos (not to be confused with Bah ha Fish Tacos which are tacos made with clown fish…..sorry, a true Foodie would never make such a lame joke). I recently received this DELICIOUS cookbook called 200 Easy Mexican Recipes: Authentic Recipes From Burritos to Enchiladas by Kelley Cleary Coffeen. Along with the fish tacos I’ve also made her Cabbage Relish, Red Enchilada Sauce, Pico de Gallo and the Bean and Cheese Burritos. I’m always trying to find ways to serve fish…that my kids will actually eat. 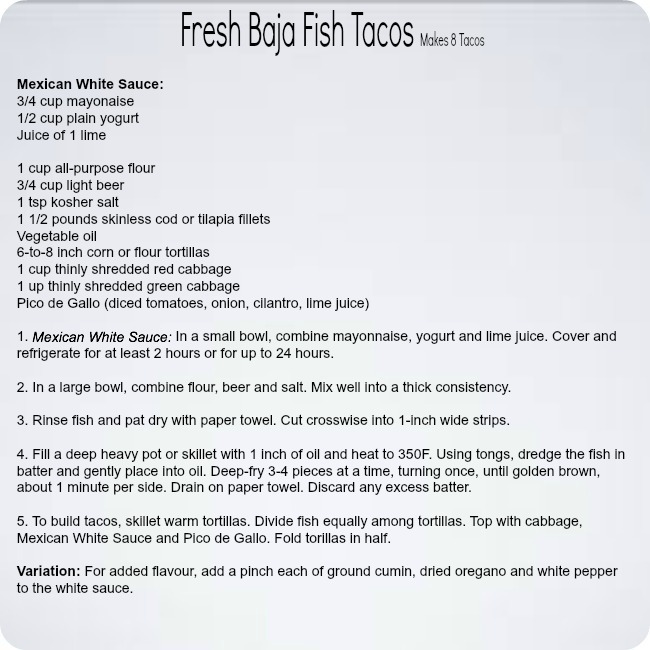 Here’s the recipe for Fresh Baja Fish Tacos (from the 200 Easy Mexican Recipes cookbook). Disclosure: No pesos were received for this post (aka, this post isn’t sponsored). I have mucho love for Mexican food and was happy to try out this tasty book which I received for the purpose of this review.